You’ve finally decided to take action to improve your life. You’ve got some great ideas already, but you’re not quite sure where to begin or how to set things in motion. So now what? This is something everyone who has worked to redesign their life has gone through. The beginning. 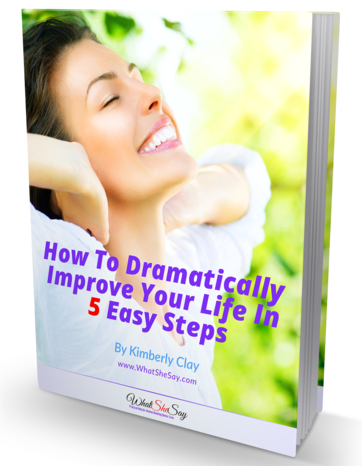 In this free ebook, I show you five steps you can use to instantly start the process of improving your life. How to bring order and focus to your life. How to create a nurturing environment. How to get motivated to start the task of changing your life. I’ve been where you are and it’s not easy to do the work of steering your life in a new direction. The process outlined in this ebook is a basic strategy that works to get you started. And now, you can apply it to your own efforts. Instant Download: Get Your Free Ebook Now! I’ll send you the ebook as soon as you confirm your email address. NOTE: I’ll never share your email with others. You can always unsubscribe whenever you like.